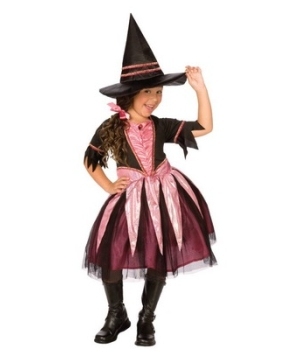 Browse through several Grils Witch Costumes and select the perfect for your little girl. 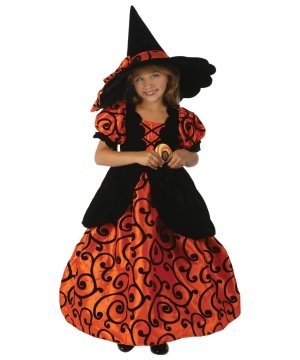 We have many classical Witch Costumes like the Wicked Witch of the West and new costume styles. Enjoy secure shopping and fast shipping options. 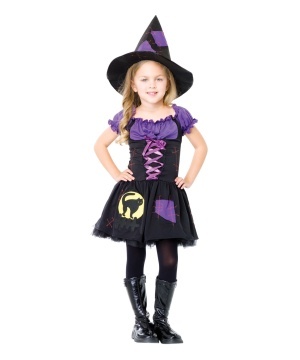 Give your black cat a pat on the head and then run your wooden spoon through your bubbling cauldron one more time. 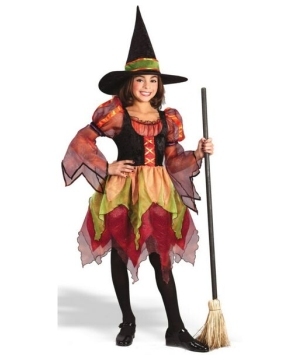 Then make sure that you have chosen the perfect Witch Costume for your girl. 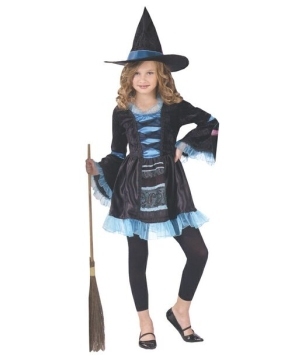 With more Witch Costumes than you can shake a magic wand at, choosing the perfect article for your daughter or granddaughter may be a trial. 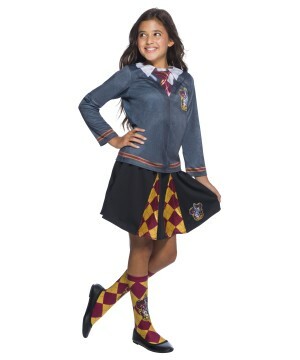 You will find costume selections for girls of all ages. 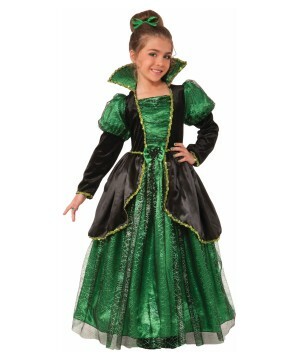 Our Gothic Witch Girls Costume provides for a black dress with shimmering green decoration and a classic, pointy hat. 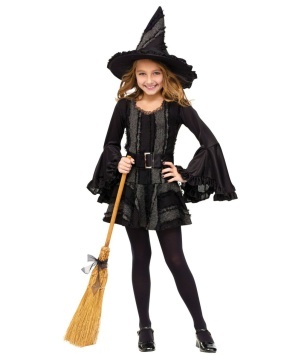 Complete the look with a broom and enjoy the ride this Halloween! 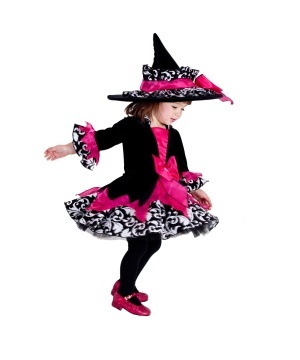 Your little girl might be searching for the Moonlight Magic Witch Costume, showing off a black top with puffy, pink puffs on the shoulders and a pink frilly dress. 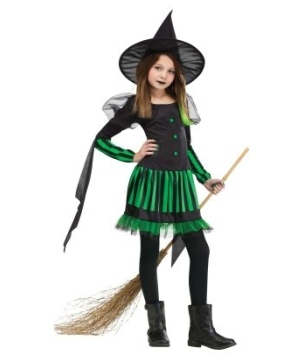 Become the embodiment of hatred in the Wicked Witch of the West Costume and frighten farm-girls with a green mask or cast a spell of love with the Midnight Sorceress Costume, a thin yet conservative lacy black dress. 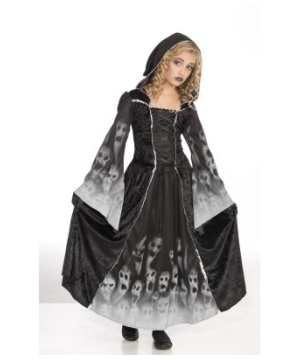 This spell casting staple for haunting nights and full moons is always a perfect choice, and with so many perfect choices in our stock, your girl will look enchanting at her next costume party!